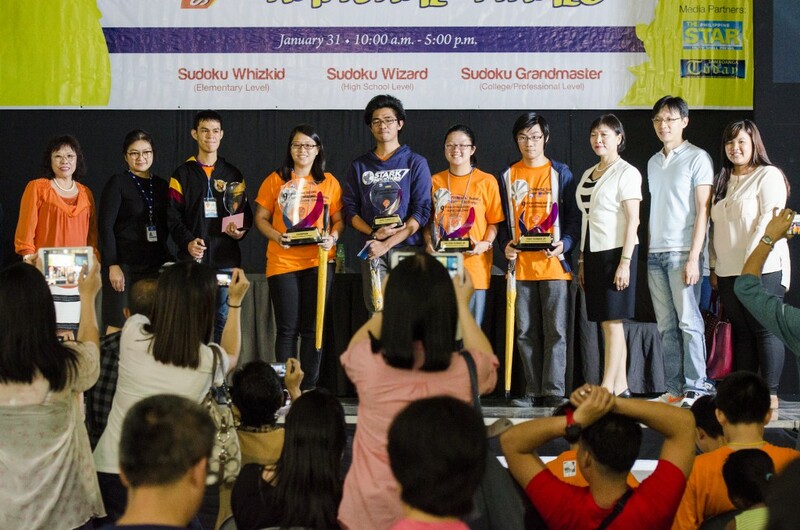 What started as a relaxed gathering of people with a shared interest turned into an adrenaline-filled competition of two hundred ten finalists showcasing their Sudoku skills in front of a crowd of supporters, shoppers and spectators during the 9th Philippine Sudoku Super Challenge (PSSC) held on Saturday, January 31, 2015 at the Skydome, SM City North EDSA, in Quezon City. This year’s number puzzles, which added up to 27, were far more difficult than they were in the previous years. 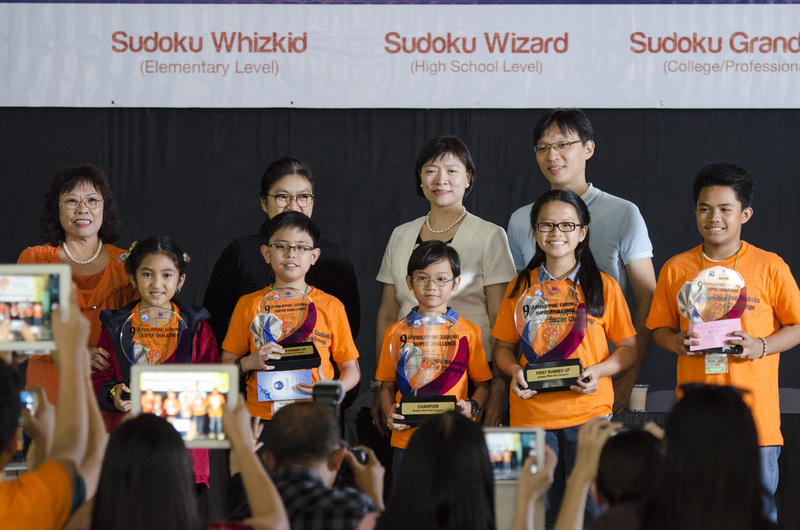 Some of the never-heard puzzles include 6 X 6 Star Product Sudoku, Property Sudoku, Position Sudoku, Prime Sudoku, Missing 8 and 9 Sudoku, Pyramid Sudoku, Halved-Square Sudoku, Samurai Sudoku and Mega Sudoku, to mention a few. All were supposed to be answered within two hours and 35 minutes. 2nd runner – up Simbol, Jan Vincent BHC Educational Institute, Inc. 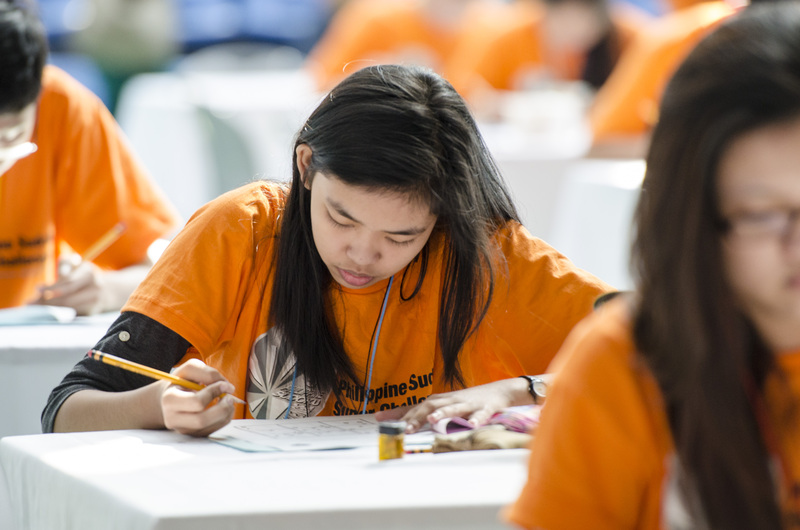 The biggest contributing factors for the success of the 9th PSSC were the following sponsors: SM Supermalls, SM North EDSA, Skydome, Phoenix Publishing House, Inc., David Tea House, SHARP Calculators, Vital 1 Purified Mineral Water, Philippine Star, Skyworth Travel Agency, and Zamboanga Today.